Phryne is back in a thrilling mystery that takes her into dark convents and dank cellars in a frantic search for missing girls. The decidedly raven-haired Miss Phryne Fisher returns to delve deep into the dark cellars of Melbourne. 1929: pretty little golden-haired girls are going missing in Melbourne. But they're not just pretty. Three of them are pregnant, poor girls from the harsh confines of the Magdalen Laundry. People are getting nervous. Polly Kettle, a pushy, self-important Girl Reporter with ambition and no sense of self preservation, decides to investigate--and promptly goes missing herself. It's time for Phryne and Dot to put a stop to this and find Polly Kettle before something quite irreparable happens to all of them. It's a tale of convents and plots, piracy, murder and mystery... and Phryne finally finds out if it's true that blondes have more fun. Kerry Greenwood is the author of many bestselling novels and the editor of two collections. Previous novels in the Phryne Fisher series are Cocaine Blues, Flying too High, Murder on the Ballarat Train, Death at Victoria Dock, Blood and Circuses, The Green Mill Murder, Ruddy Gore, Urn Burial, Raisins and Almonds, Death Before Wicket, Away with the Fairies, Murder in Montparnasse, The Castlemaine Murders, Queen of the Flowers, Death by Water, Murder in the Dark, Murder on a Midsummer Night and Dead Man's Chest. 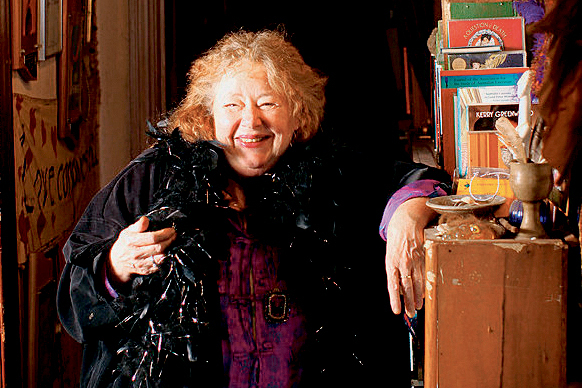 She is also the author of the Corinna series, which includes Earthly Delights (2004), Heavenly Pleasures (2005), Devil's Food (2006), Trick or Treat (2008), Forbidden Fruit (2010) and Cooking the Books (2011). She is also the author of several books for young adults and the Delphic Women series. When she is not writing she is an advocate in Magistrates' Court for the Legal Aid Commission. She is not married, has no children and lives with a registered wizard. If you like the ongoing Phryne Fisher book series and/or the Television series, this book's for you. Another great Phryne Fisher mystery set in Melbourne - this time she's searching for three missing girls and a girl reporter. Keep them coming please Kerry!! I am a fan of Kerry Greenwood books, especially The Phryne Fisher mysteries. It was a thrill to learn that there were three books I hadn't read. Loving them all. I purchased the ABC television series which was very exciting. The books are always better though. I hope there will be more coming! I always pass my copies onto my elderly mother who also enjoys them immensely. The settings for these stories are somewhat familiar to us as Mum lived in the general area during the 1930's and 40's and I live and work in Melbourne's north western suburbs, Geelong and the Bellerine Penninsula. You have always been helpful, even to the extremes of looking for an authors book that may have been 'long gone'. Apart from that, you wonderful people always update how an order is going, and allow for my cat having walked across the keyboard. And I just love getting those parcels at the Post Office!! Phryne Fisher is my favourite female detective and having read all the books in the series,"Unatural Habits" did not dissapoint.....Again Kerry Greenwood transports us effortlessly to 1920's Melbourne,and Phryne enveloped in her signature "Jicky"perfume captures the "Bad Guys" with her usual panache and her own inimitable style. This was a satisfying addition to the series. I love the Melbourne historical detail. Eagerly waiting for the next book. Phryne's back better than ever. High class chick lit. Full of humour,style and panache. A fun romp. The Phryne Fisher series (pronounced Fry-knee, to rhyme with briny) began in 1989 with Cocaine Blues which was a great success. Kerry has written sixteen books in this series and says that as long as people want to read them, she can keep writing them.